Rock 'n Learn with LeapFrog! A few weeks ago, my family was invited and selected to host a LeapFrog Touch Magic™ "Rock ‘n Learn" Party! We were so excited and decided to invite over the children from my mom's night out group. 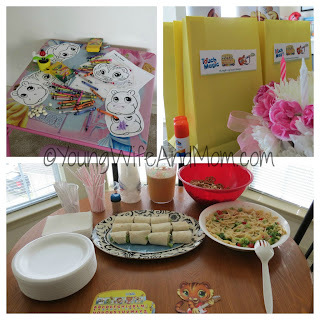 This was a great way to get our kids together to play and for the moms to chit chat while learning about LeapFrog's new Touch Magic™ product line. LeapFrog provided us with a party host kit containing two (2) Touch Magic™ Rockin' Guitars, one (1) Touch Magic™ Learning Bus, branded invites, activity sheets, product information sheets, award certificates and coupons towards LeapFrog products. My daughter couldn't wait to get into the goodies when the box arrived. I set up a coloring station too for the little ones and made some cute favor bags with more activities for them to take home. Each child guest received a certificate and the parents received a $5 off coupon as a thank you for attending! Not many of my mom friends were able to attend but we had a great time nonetheless. The kids snacked, played together and had a blast. The moms loved how light the new product line was and the fact that they are so much easier to wipe down than other guitar and alphabet toys. No sticky buttons here. 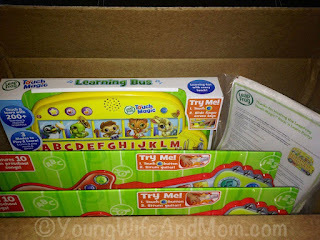 We were really surprised at all the activities LeapFrog was able to put in one toy! For example, the learning bus builds core learning skills with 3 modes and over 200+ learning and musical responses. The Rockin' Guitar comes programmed with 10 songs and can be customized in over 100+ musical combinations. It's awesome that kids are learning while playing with such fun toys! Besides the Rockin' Guitars and Learning Bus, LeapFrog also has a counting train in their Touch Magic™ product line. These toys retail at $24.99 each and have definitely made our Christmas list for the little ones in our family. 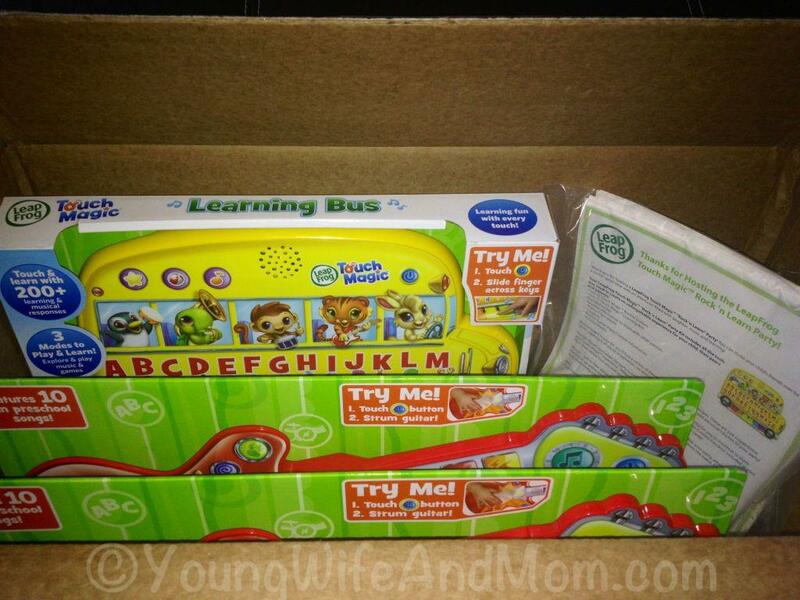 Disclosure: I have received free LeapFrog products in order to host the LeapFrog sponsored Rock'n Learn Party. The opinions expressed here are my own.